I don't believe in god(s), but if I did, I would right now be under pressure to think that the supreme being(s) was/were sending me a very clear message via radio ga ga: listen to more Queen. By some inexplicable twist I find myself -- can anybody find me? -- in Zanzibar, Freddie Mercury's birthplace, just a few weeks after visiting Montreux, Switzerland, where he spent the later years of his all-too-short life. Both trips had to do with work and really weren't down to my decision: Montreux was a conference where I spoke, and I went to Zanzibar after a work-related meeting in Dar es Salaam. But the fates have moved me along the Freddie trail, and there must be a reason for it. I'm sure I'll get an invitation to a seminar in Barcelona any day now. And after so many years in Bohemia(n Rhapsody), I had to expect this. Anyway, the show must go on, so, sitting here in a Freddie Mercury tribute bar for lunch, I've decided to celebrate the fates by reviewing the Tanzanian beer, Kilimanjaro. Here in Mercury's -- a dead ringer for a bar I know in Ft Myers, Florida, if you can believe it -- they serve it crazy cold, which is exactly how you want it. Like Gazelle in Senegal or Tusker in Kenya and a hundred other African beers, Kilimanjaro is one of those "hot climate lagers" that work perfectly well under the circumstances. 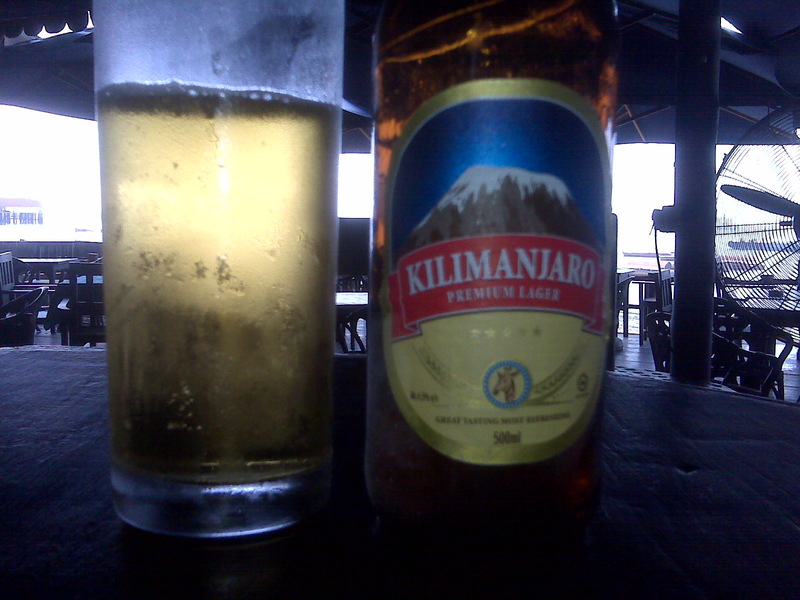 Emphasis is on refreshing, not structure or depth of taste, and Kilimanjaro delivers as expected.